Claps Records is the new Italian label set to rumble it's way on to the global dance music scene from DJProducer Luca Guerrieri (DVS Records D:vision) and event specialist Marco Roncetti (Marula Club Tartana). 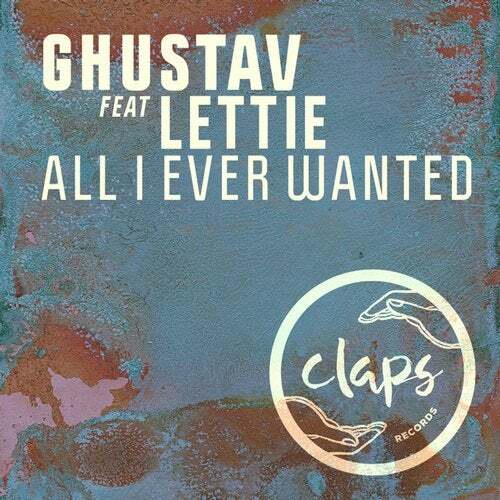 Tuscany based House producer Ghustav teams up with highly acclaimed UK singer songwriter, Lettie, who lends her captivating, sultry voice to Claps' debut release 'All I Ever Wanted'. The result is a gorgeous slab of Deep and sensual House music, underpinned by an infectious 90's style piano hook and oozes femininity and cool! "It's been a huge honour to work with Luca Guerrieri and Marco Roncetti on 'All I Ever Wanted', their first release for Claps Records." - Lettie SingerSongwriter Lettie released two albums Age of Solo' and Everyman', without any promotion in 2008, gaining support on TV in the USA and Europe. Lettie was later asked by Dermot O'Leary (BBC Radio 2) to do a Maida Vale session for the Electric Proms Introducing. Lettie has appeared as a special guest performer for Peter Murphy (ex-Bauhaus) on his European tour (2009) and UK (2010), Chris Difford (Squeeze) and Roger O'Donnell (The Cure) (2011) and Reuben Richards (2013). She was featured in a BBC4 documentary Hello Glastonbury' in 2010. In 2012 Lettie released 'Good Fortune, Bad Weather', recorded and produced by David Baron to critical acclaim. It features Grammy Award winning producerguitarist Danny Blume, Zachary Alford (David Bowie) and in 2014 'Crossroads', an EP with Dave Barbarossa (Drummer for Adam Ant and Bow Wow Wow). She also records with Anthony Phillips (Genesis) for Universal Music. She is presently putting the finishing touches to her fourth album Weightless' with Mark Vernon due out later this year.